Ordering your brick tile samples is as easy as two steps! First, select the brick tiles sample you'd like from the available options. Second, select the Color Mix you'd like your Brick tile to be a representation of. Color Mix can be applied to any of the brick styles. **Note that the pricing is for samples only. 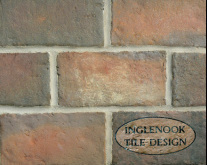 For a full order, Inglenook brick tiles are priced by the square foot and vary in price based on the size of your order. Please contact us at 717-806-3900 for a quote. **Don't forget to enter your phone number during checkout, we'll need it to call you to verify you made the best selection for your project. Step 1 - Select a brick style you'd like a sample of from the Homestead or Manor collection. 4 x 8" brick tile sample. Wright's Ferry has an antiqued, weathered surface and worn edges, lending the tiles a hand formed, rustic look when installed. 4 x 8" brick tile sample. Traditional Antique has the same antiqued, weathered surface of Wright's Ferry, but with straight edges, allowing tiles to be laid thin grout lines - or no grout lines at all. 3.75 x 7" brick tile sample. 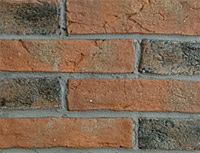 Wimer's Mill is our most rustic style of brick tile, with rugged edges that appear to be eroded. When installed, these tiles appear to have been in place for a hundred years - or more. 2 x 8" brick tile sample. Lancaster Running Bond is the side view of an antique brick and is meant for interior and exterior walls, ceiling, and fireboxes. It has a weathered surface and hand-formed edges, to give it an authentic antique appearance. 4 x 8" brick tile sample. King Street tiles are smooth with straight sides. Color variation from wood ash, clay and other natural materials gives the tiles texture without any roughness under foot. 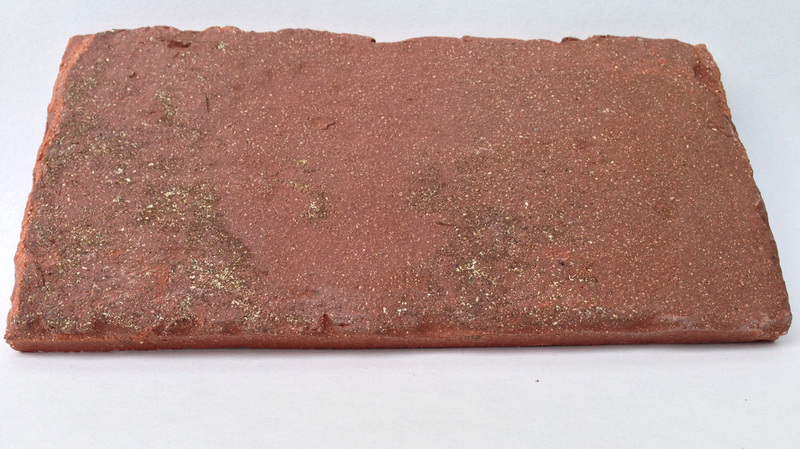 3.75 x 7.5" brick tile sample. Rutherford has the same smooth surface and straight sides as King Street in a smaller size. The dimensions of this tile make it ideal for basket weave installations. 3.75 x 7" brick tile sample. Summer Kitchen is our smallest tile in the Homestead Collection. It again has a smooth surface and straight sides. The diminutive size makes it a good choice for small spaces, like bathrooms. 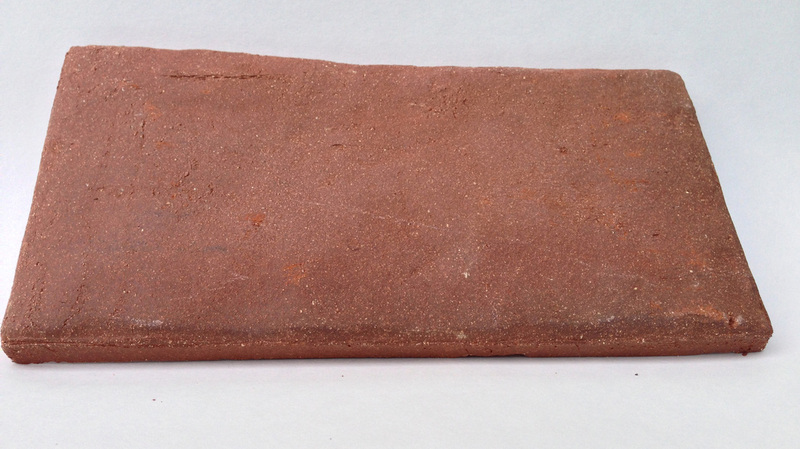 3 x 8.75" brick tile sample. The size and shape of San Sebastian make it a possible choice for a wall or a floor with a longer and slimmer silhouette than our other brick tiles in the Manor Collection. Step 2 - Select the color mix you'd like your sample to be a representation of. The color mixes below can be applied to any of the brick styles in the Homestead and Manor collection. There are no additional charges to add a color mix into your order. We will send you a sample with a color mix variation that best represents what you selected. This mix is the most sedate of all our mixes. All the pieces are in the standard/plain color, with variation coming from where the hot and cool spots are in the kiln. This is a combination of our standard tiles, with some tiles with wood ash fired into them, and some tiles with a burned black appearance. The typical ratio in 20 tiles is 10 plain, 6 wood ash, and 4 black. Elizabethtown is a color mix that includes 1/3 standard/plain tiles with 2/3 containing some burned black tiles. The Providence mix contains a little of everything, from burned blacks, to brown flash, to brushed whites, to plain. Savannah celebrates the chipping white paint, it is typically mixed with our standard brick red tones. 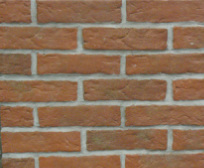 Our Clinker color mix captures this burned effect for historic flemish bond patterns and other decorative brick veneer installations. 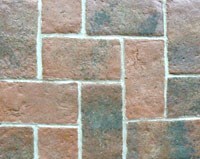 They are typically mixed in with other Inglenook tile color mixes.